The Theo Epstein Era of Chicago Cubs baseball has seen an unprecedented run of success when it comes to the development of top prospects. The waves and waves of talent from the minor league ocean keep washing up the Major League shore, as constant and reliable as the tide. Names like Bryant, Russell, Contreras, Baez, Almora, Schwarber and now Ian Happ have come up from the bushes and immediately contributed to the clubs Big League success, all without nary a prospective miss. It's just not supposed to be that easy. Although, you might note a conspicuous lack of homegrown pitching on the above list. A stated mission of the current Cubs' FO has been to draft position players and trade from that depth to acquire starting pitching, as nothing is more volatile and harder to develop than young arms. To exemplify this dearth, it took until last year for the very first Epstein-drafted starter to be called up to the Majors in Rob Zastryzny. Pierce Johnson was drafted by Chicago in the supplemental first round (43rd overall) of the 2012 draft, out of Missouri State University. The live-armed starter could hit the upper-90's with his fastball, with some crisp, late-breaking movement. Furthermore, Pierce also used an outstanding curveball to keep opposing batters guessing and generate bunches of strikeouts. 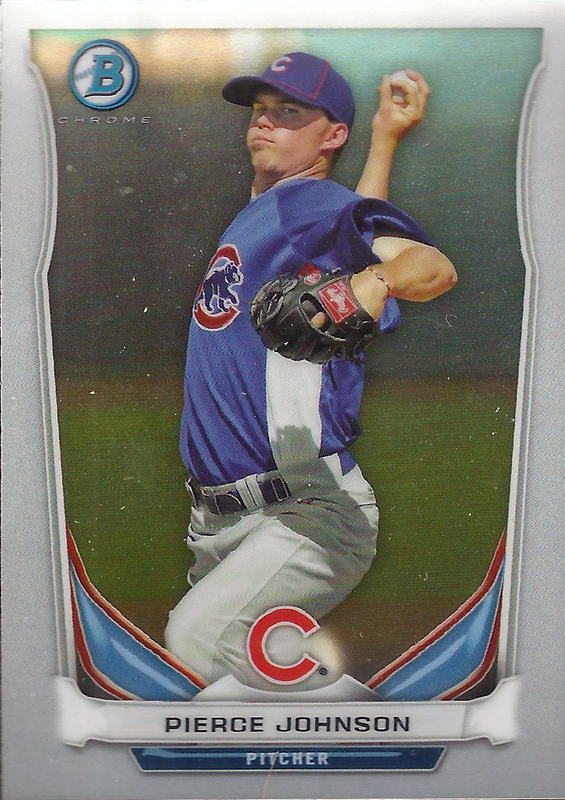 Thus, despite their known aversion to drafting pitching, the Cubs just couldn't help but take a gamble on the young righty. 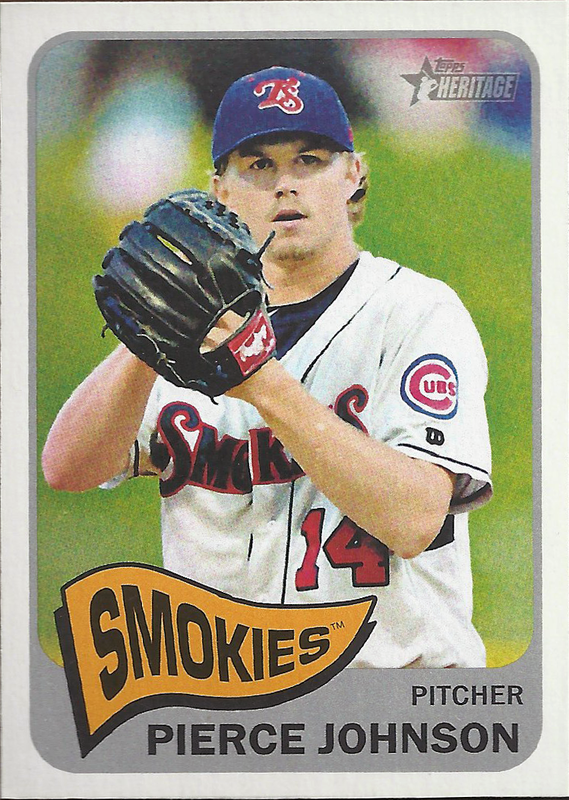 Unfortunately, as Pierce moved up the minor league ladder, his secondary pitches never truly developed into anything more than ordinary and he basically became a two-pitch pitcher. Additionally, control began to be an issue in the upper rungs, as did his health. Thus, during a dreadful, terrible, no-good 2016 season in AAA Iowa, in which lengthy DL-stints sidelined him for most of the year, the decision was made to convert him into a full-time reliever, where he could harness his peak velocity, solely on his two plus pitches and protect his durability. After a rough Spring Training camp with the big club, Pierce has seemingly taken to the transition well so far during the 2017 baseball season. In 14 innings with the Iowa Cubs, Johnson has posted an eye-popping 21 K's and given up only one long ball. On the other hand, his control still isn't fully harnessed, as he has also walked 11 batters in that same time. However, the swing-and-miss stuff is clearly there. With Ben Zobrist's back issues apparently healed, without a DL stint required, the decision was made to sacrifice an extra man on the bench in the name of bullpen depth. With as overworked as the bullpen has been in 2017 (though things have stabilized somewhat in the last week), I can't say that I blame them. 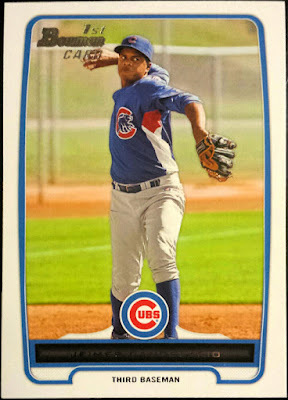 And that, ladies and gentleman, is the story of how the very first pitcher that TheoJed drafted with the Cubs organization made his way to the Big Leagues. It has been a longer and more bumpy road than anticipated for the former first round draft choice, but he made it just the same. 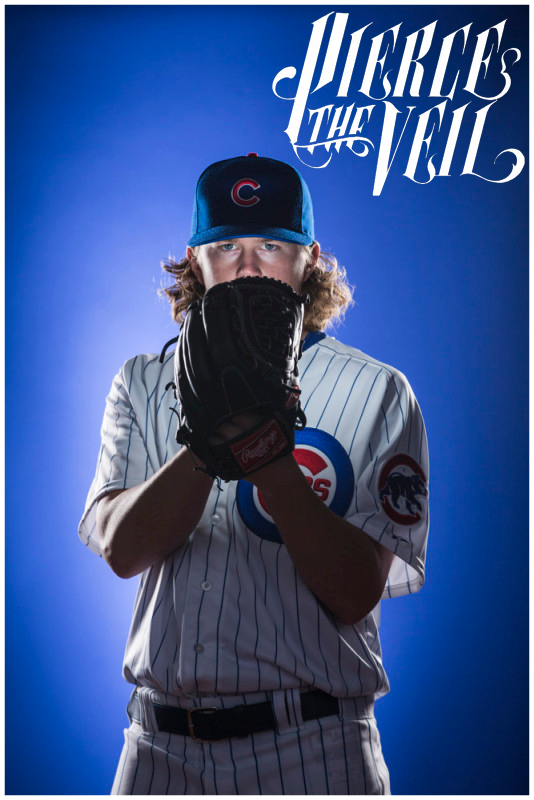 Here's hoping that his curveball will miss enough bats for him to stick around in the Wrigley bullpen - if so, he'd be a great replacement for the lately-listless and recently demoted Justin Grimm. To make room for the newest dweller in the bullpens underneath the Wrigley bleachers, third base prospect Jeimer Candelatrio was returned to Iowa, after a brief, 8-game cuppacoffee. In his second trial with the club, Jeimer again struggled with the bat, posting a .143 batting average, but he's never been given an extended trial to try and work through a cold streak. 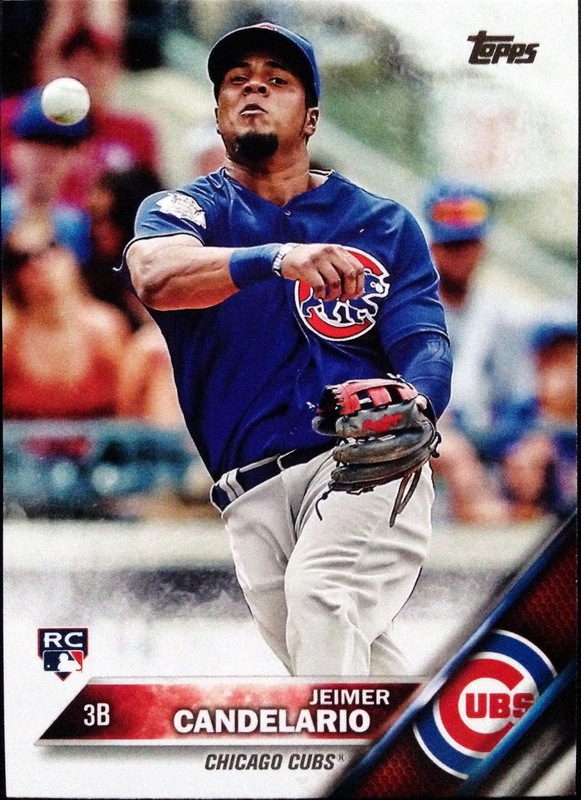 In short, being that the corners of the infield are pretty well blocked for the foreseeable future, I'm hoping that the Cubs can flip him to a rebuilding club as part of the package for a starter - it would be best for both Jeimer and the Cubs. Trading position prospects for pitchers, just like the plan was drawn up on the ol' white board. Funny then that such a trade might have been facilitated by calling up the first pitcher Theo ever drafted with Chicago. 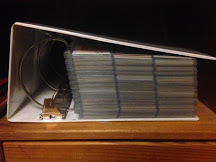 Good luck, Pierce, and welcome to the Cubs All-Time Roster Collection, binder. I've had Bowman cards of this guy for 4-5 years so it feels like he's been around forever. Fingers crossed! Congrats on making it to The Show go to him. Many of us could only dream of it. Also, not appreciating what your Cubs have been doing to my Reds this series. The Pirates had trouble developing pitchers for years. Gerrit Cole was the first high end guy since the 70's.